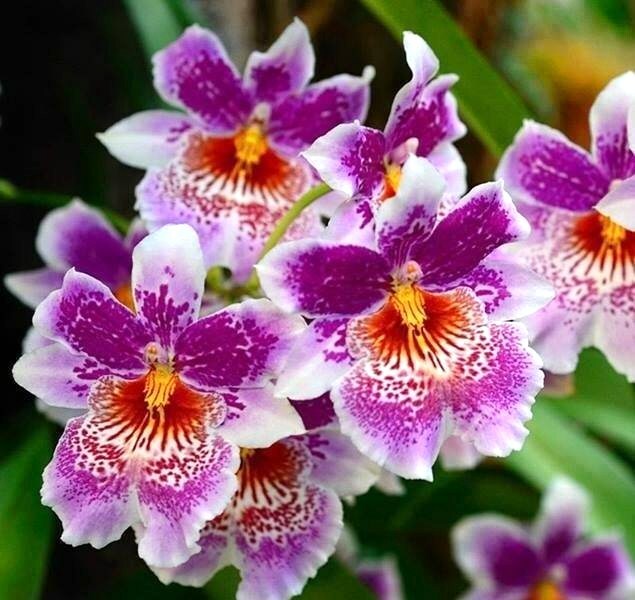 Jo's Favorite Things: Thirty Days of Flowers - Day 1: Orchids! Thirty Days of Flowers - Day 1: Orchids! I started Thirty Days of Flowers on my Facebook page when it was miserable and cold here in Chicago in late February and March. It was rainy then snowy then just plain dreary. So Thirty Days of Flowers will make a splash each day during the month of April 2017. For April showers do bring May flowers, and by the end of the month we'll have flowers, trees, and bushes blooming everywhere. Day 1: Celebrating the annual Orchid Show at the Chicago Botanic Garden which was held in March. Flowers, whether poking up through the ground, on display in a conservatory, in a store-bought bouquet on your display shelf, or on your dining table; flowers, as paintings or photos framed in your hallway, can help to ease the misery and pain of cold, of depression, of just plain bad tidings, and bad happenings! And for those of us in cold climates, we can anticipate the joy and bright colors of Spring. So I started my "Thirty Days of Flowers" project, using photos from family and friends, photos I have collected over the years, paintings of flowers, from both well known artists of the past and from current artists. Day 1 was an acknowledgement to the Chicago-area Chicago Botanic Gardens which was holding their annual Orchid Show. Though the Orchid Show is over, the beautiful photos are still here for us to admire until the next Orchid Show! And on to Day 2 of Thirty Days of Flowers: We'll highlight a gifted artist who paints beautiful bouquets of flowers and also holds classes named Nancy Medina.